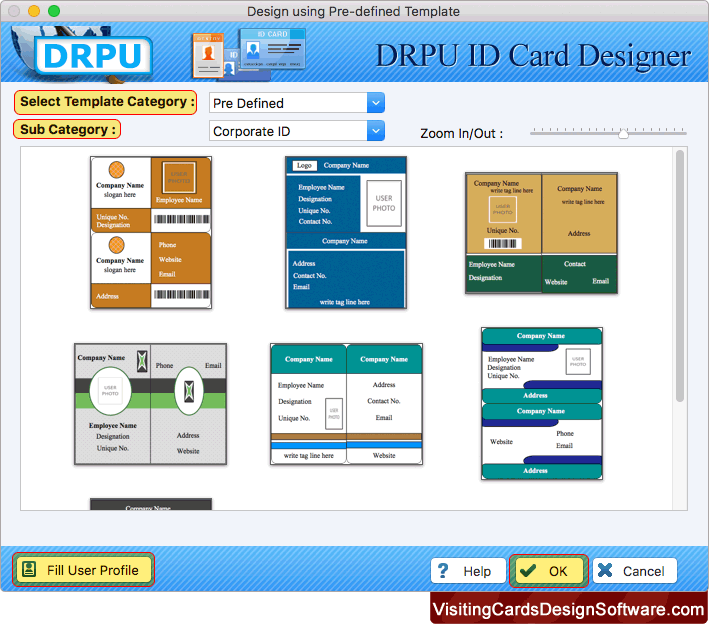 Choose any one module for designing id card. Here, we have choosen 'Design using Pre-defined Templates' module for demonstration purpose. Select any one pre-defined template and Click 'Fill User Profile' button. 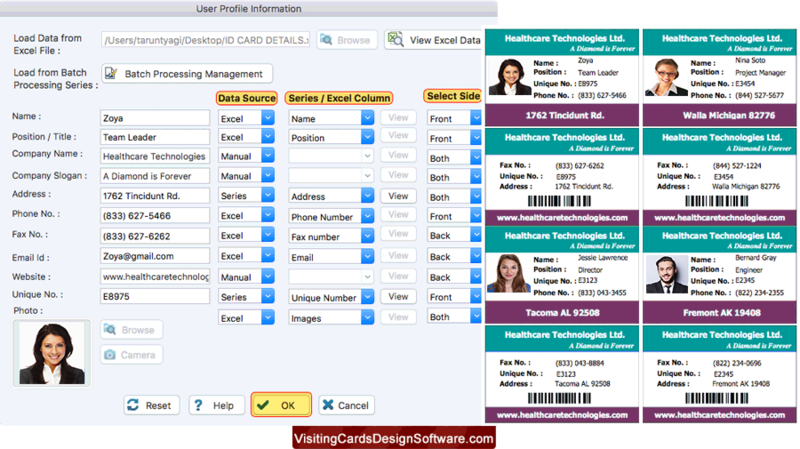 Load ID Card details from excel or using batch processing series or you can enter details manually. 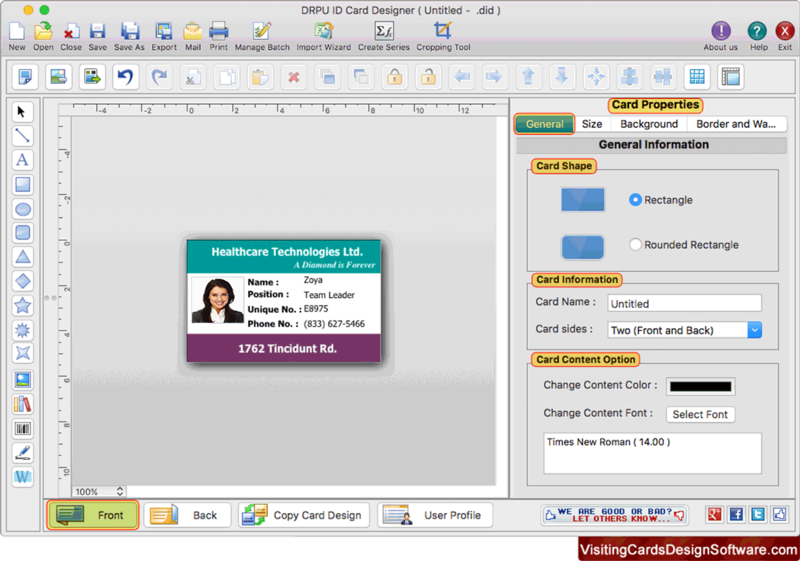 Add image of user on your ID card by browsing the path of that image or by capturing image using Camera. Using Card Properties, you can make any further changes in your Card like card background, card Border. 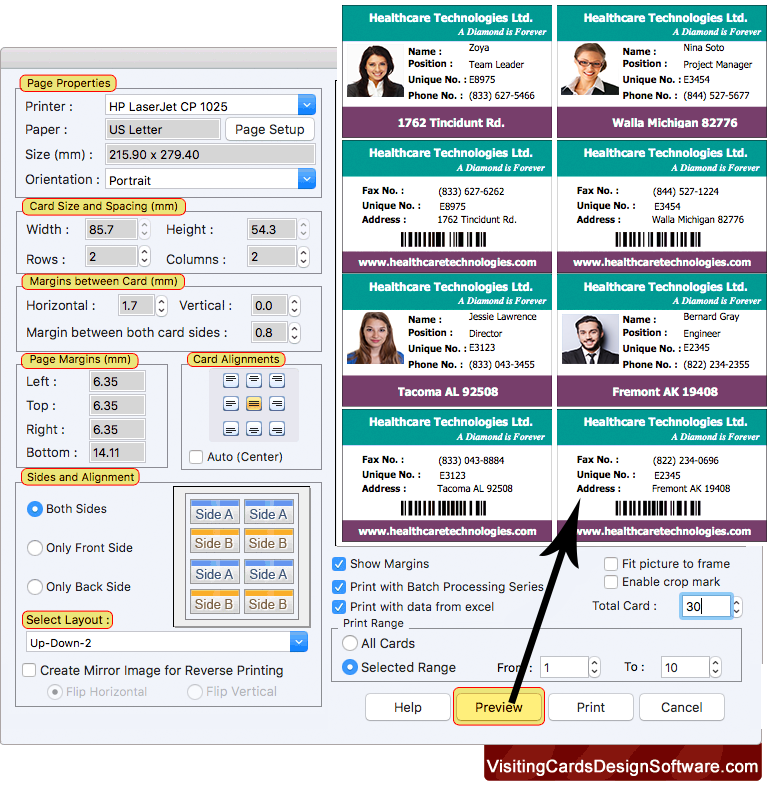 To print your designed ID Card, set all print settings and click on Print button. 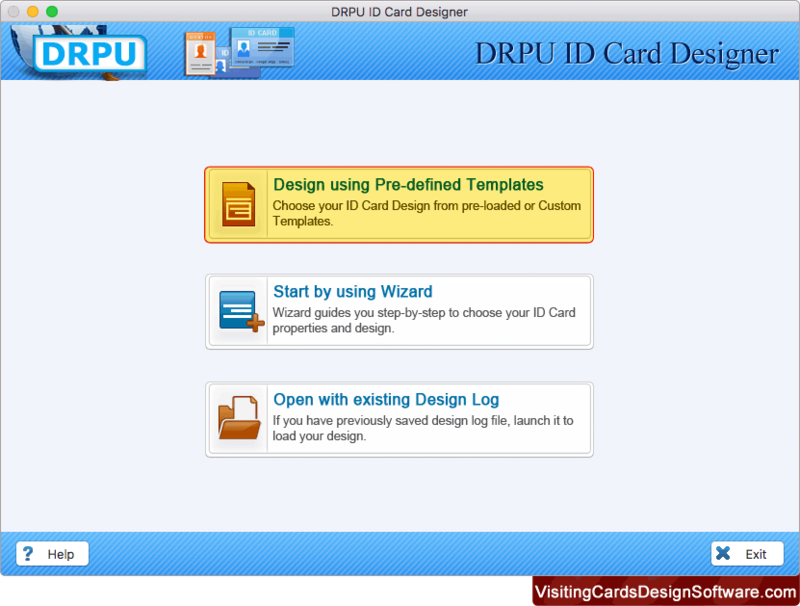 You can see the print preview of your designed ID Card.